Ukraine’s battered hryvnia currency lost more ground against the dollar on Monday, slipping to UAH 15.90/16.17 by the middle of the trading day, compared to UAH 15.80/16.10 at the start. Hryvnia quotes against the euro settled at UAH 19.75/20.09. A broker at a commercial bank told UNIAN that trading on the market was sluggish. 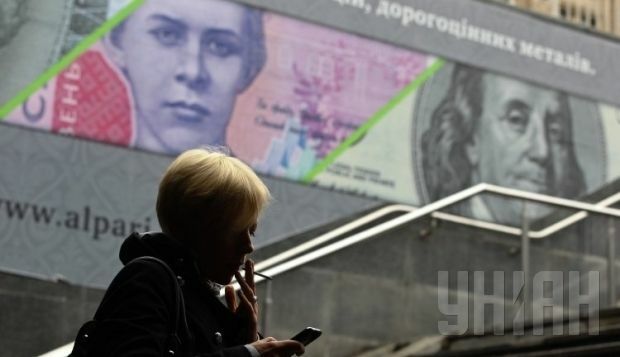 According to the source, the hryvnia quotes against the Russian ruble have settled at the level of RUR 0.2706/0.2760. According to the National Bank of Ukraine, the weighted average exchange rate of the hryvnia as of 1330 was UAH 15.7581, with 67 deals concluded by this time worth a total of $14.29 million.